I am writing this to give thanks to my father. He is my hero. Anytime I need something he comes through. He has always been there for my sister and I.
I haven’t been a perfect son. I remember things I have done and worries I have caused and he has stood by me through it all. When I was a baby I had pyloric stenosis. I don’t remember having it, but apparently, it is when your intestines are in a knot. Having a little girl of my own, I can imagine how he and my mom must have felt when I was sick. I know that I made it through that with him never giving up.There were other times growing up when I would fall down and he’d pick me up. There were stupid kid things I did and he would love me through them, even when I caused damage to the house. I remember this one time I was watching him fix something on the house. He had his hammer and he was hitting nails into the wall. So I grabbed my toy hammer and began to hit our plaster wall inside our house as I watched it crumble saying “look dad, I’m like you.” How he or mom didn’t beat me I have no clue. He granted me grace even when I damaged the house. To this day I still mess up and I know he will always be there. I know that God placed me in a house where I was loved. I know my dad loves me. Too many people don’t. They have horror stories of their fathers. My heart breaks for them. Coming from my situation is a big reason why I trust God. 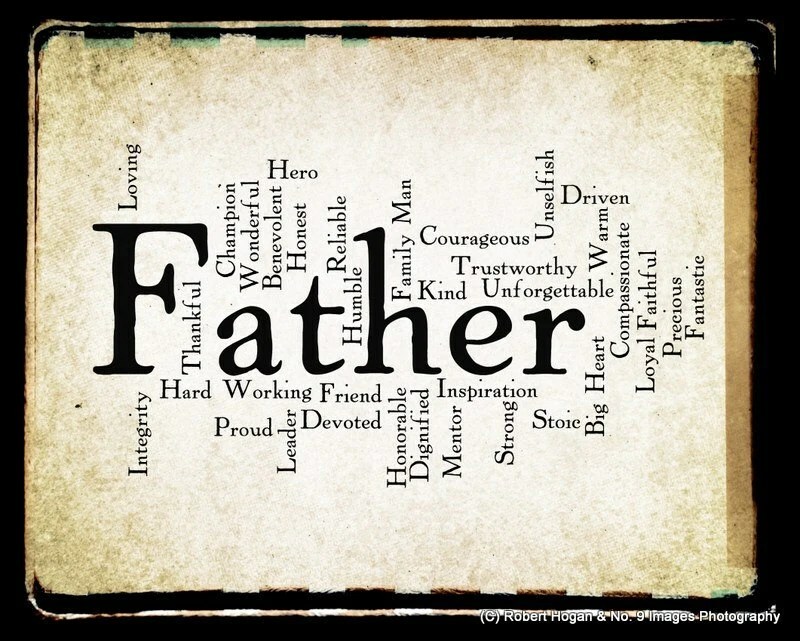 You see, when we think of God as Father, Abba, most of us tend to think of our dads. God as Father is a merciful, loving Father who gives us His grace through His Son Jesus. Some people don’t know how to comprehend that if their image of God as Father is of their abusive father. But Jesus is love, mercy, and grace. He wants us to come to him as we are. My relationship with my father has made it easy to see my Heavenly Father as He truly is. He is a loving God who loved us so much that He gave us His only begotten Son to die the most brutal death in th history of mankind. He gave us Jesus not because we deserve Him to take our sins, but because He gives us grace because what we deserve is death. When I put that hole in our wall some might say I deserved a beating. Instead what I got was grace. Thanks dad for showing me how to be a father and showing me the Grace of God. I love you!